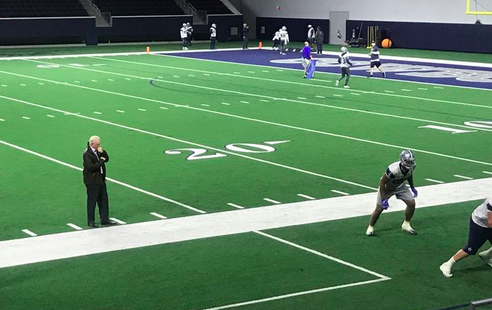 DALLAS -- If there were a Hall of Sporting Justice -- a truly bad idea, actually, taking away the fans' fun of hating the foe and demanding the heads of coaches, players and referees, in favor of the rule of honesty -- it would declare unanimously that the better team won Saturday's little tilt here in Texas. No appeals possible. 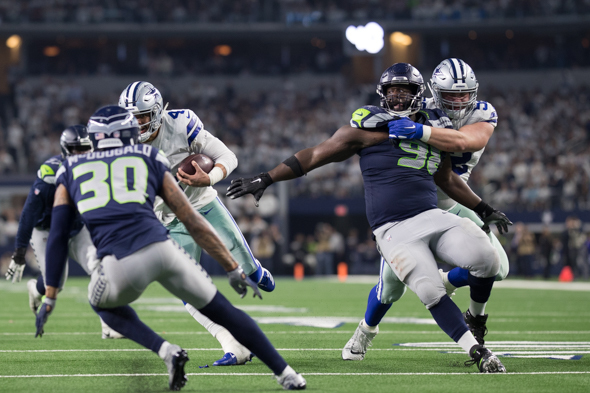 The season-ending hip fracture to S Delano Hill disclosed this week completes an unusual sequence that lurks in the background of the Seahawks wild-card playoff game against the Cowboys in Dallas Saturday evening. 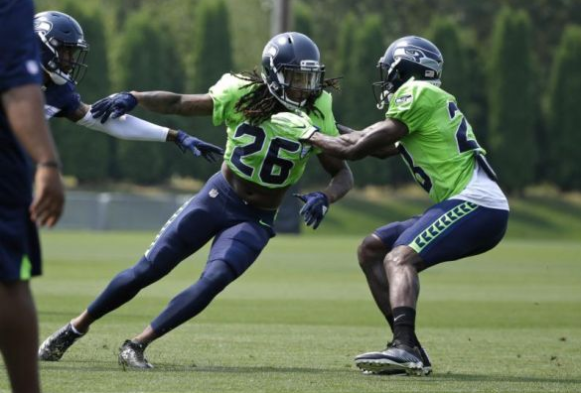 On the injured reserve list, the Seahawks have had an entire starting secondary. That accounting doesn't even include Kam Chancellor, nor the departed Richard Sherman, who was recovering from injury when he was cut and signed with the 49ers. After the final weekend of the season, eight NFL teams had head coaching vacancies. They included guys long in the job (Marvin Lewis, Bengals, 16 seasons; Mike McCarthy, Packers, 13) and a short-timer (Steve Wilks, Cardinals, one). Also dispatched: The Jets' Todd Bowles, four seasons; Cleveland's Hue Jackson, Miami's Adam Gase, Tampa Bay's Kirk Koetter, three each, and Denver's Vance Joseph, two. Football coaches and players never admit to easing up. 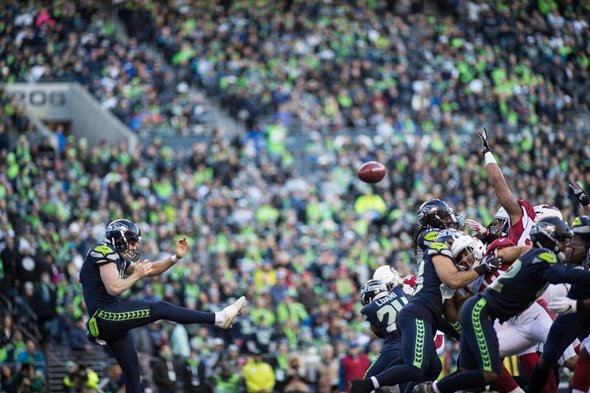 But without question, the Seahawks, absent any substantive playoff incentive Sunday against the ever-annoying Arizona Cardinals, let down their guard. Actually, that's plural -- guards. 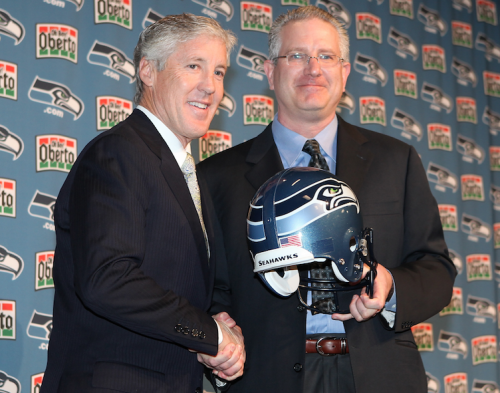 The Seahawks' run of success through the second decade of the 21st century has endured on an axis of power by four men remarkable in their fields -- Paul Allen, Tod Leiweke, Pete Carroll and Russell Wilson. Longtime fans need no explainers about the quartet's feats. 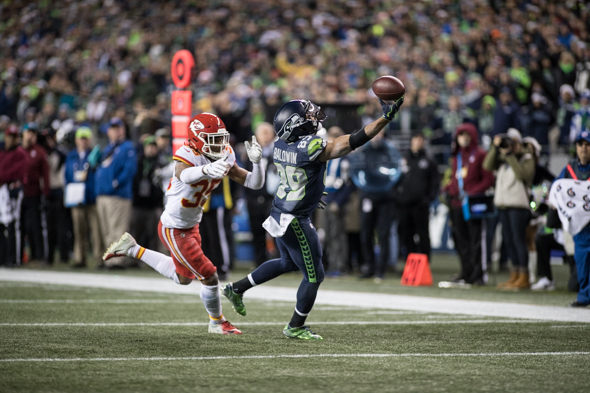 But as the Seahawks prepare for their seventh trip to the playoffs in nine seasons, an appreciation seems worthwhile, since disruption may be in the offing. If you're looking for a single impactful measurement that defines how the Seahawks have come to success so unexpectedly in 2018, here's my premium contender: Not only do the Seahawks lead the NFL in turnover ratio (24 takeaways against 10 giveaways, four fewer giveaways than the nearest team), the giveaways are tied for the fewest in single-season league history. Before the question had begun to be asked, the Seahawks delivered a timely present to fans on Christmas Eve. 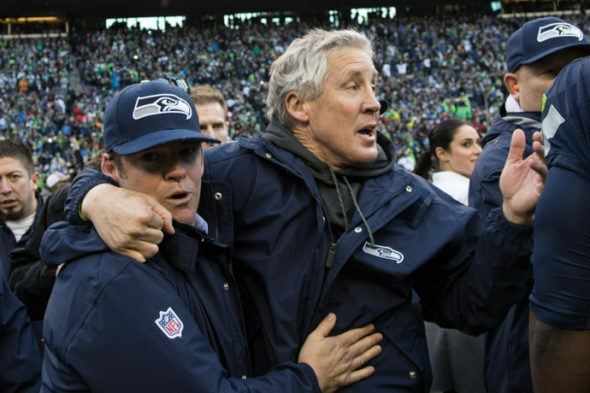 The contract of coach Pete Carroll, the winningest coach in club history, was extended through 2021. The death of longtime owner Paul Allen caused inevitable speculation about the franchise's direction. But Jody Allen, his sister and now team chairperson and trustee of the Paul G. Allen Trust, put an end to it with the surprise announcement Monday. 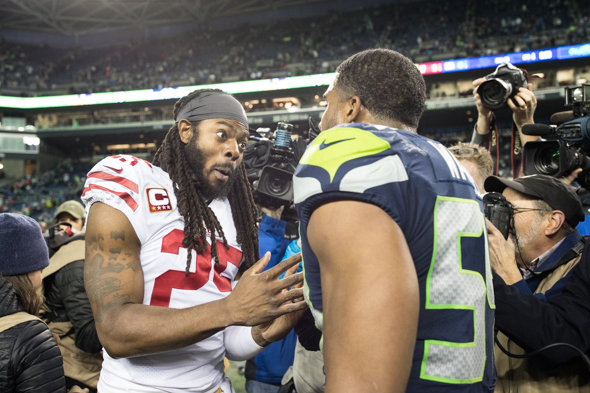 After signing with the 49ers following his surprising firing in Seattle, Richard Sherman declared that the Seahawks had "lost their way." It was a rebuke that stung because, despite a respectable 9-7 record, they did indeed miss the the playoffs for the first time in seven seasons, and looked bad on occasion doing it. 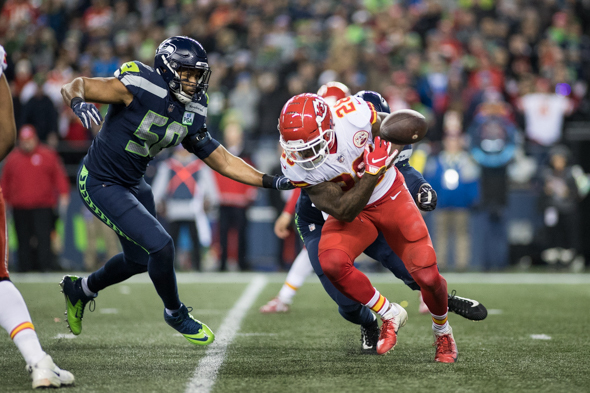 Ahead of a Sunday night, prime-time game against AFC leader Kansas City, a number of end-of-season wounded are filling the Seahawks' infirmary and draining the starting lineup. 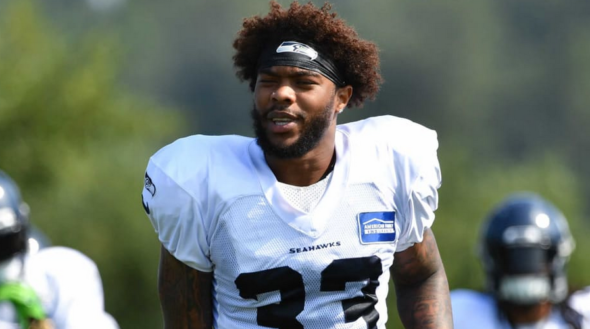 FS Tedric Thompson is out, and SS Bradley McDougald is returning from out-of-town treatment for a knee problem, while OLs Germain Ifedi and D.J. Fluker are hurting. 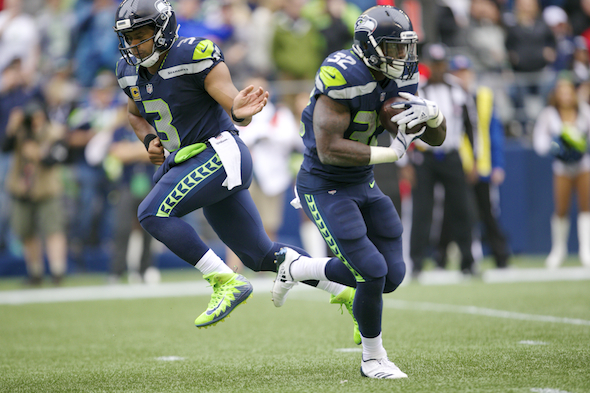 If you thought RB Chris Carson's touchdown run against the 49ers Sunday was the Seahawks' most startling one-yarder since the mark of the Beast (Mode), imagine what he might have done had he known it was fourth down. 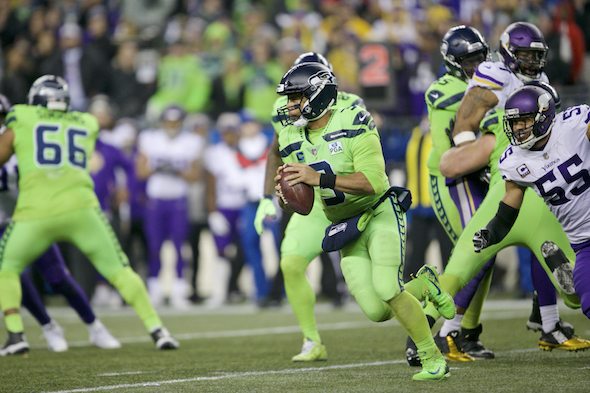 QB Russell Wilson "was out there hurrying everything up," he said this week. "I didn't realize it was fourth down. We got back on the sideline (after scoring), and Mike Davis said that was crazy on fourth down. I was like, 'Fourth down? Wow.'" Bobby Wagner will play in his fifth consecutive Pro Bowl and punter Michael Dickson his first as Seahawks representatives at the annual all-star game Jan. 27 in Orlando. Balloting results were released Tuesday by the NFL. 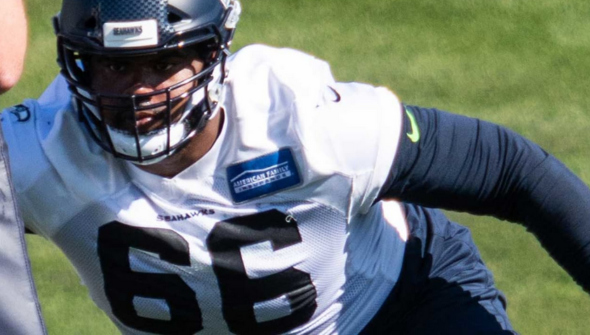 Seven other Seahawks were listed as alternates, who can play if starters are unavailable: RB Chris Carson, DE Frank Clark, SS Bradley McDougald, LG J.R. Sweezy, QB Russell Wilson and linebacker K.J. Wright. Tyler Lockett made it as a return specialist. What did Seahawks coach Pete Carroll have to say about Sebastian Janikowski? "Seabass was a little late with the kick. He took a little extra time, and it threw the timing off a bit. That was the difference in how the ball flew." Oh wait. You meant on the next play. 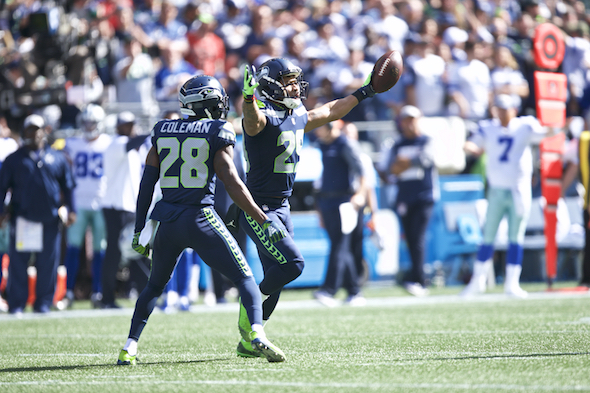 As many large things as the Seahawks did right Sunday, including maybe the best one-yard touchdown run in Seattle annals (by RB Chris Carson), they still lost to a broken-down San Francisco outfit they had beaten 10 times in a row by a collective margin of 127 points, including a 27-point win two weeks earlier. They let Charlie Brown kick the field goal. 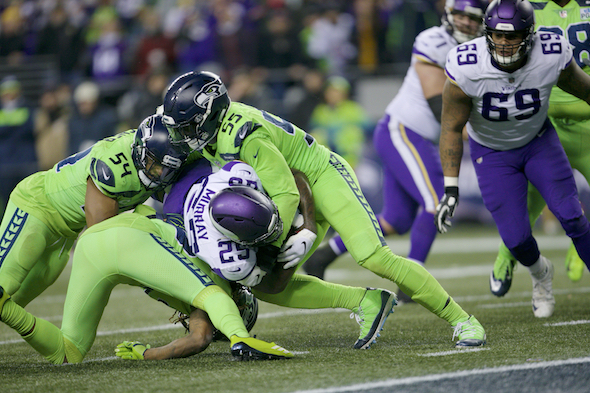 The renaissance of the rushing game has been the story of the Seahawks season. It took a long time and many resources to back-fill the void left by Marshawn Lynch. But here they are, needing only a win Sunday (1:05 p.m., FOX) in Santa Clara against the 49ers (3-10) to clinch a playoff spot with two weeks to spare, a development as freakish as finding a street in downtown Seattle free of orange cones. With three regular-season games remaining, it's remarkable that the Seahawks have only to beat the 49ers (3-10) Sunday to clinch a playoff berth with time to spare in the regular season. 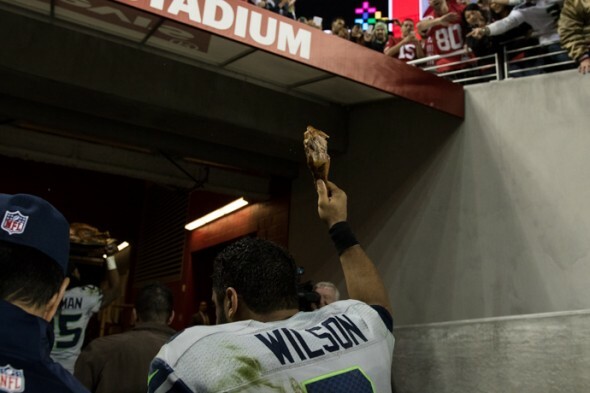 After all the changes in the off-season, the Seahawks figured to be minnows spooked by even the shadows of NFC sharks. 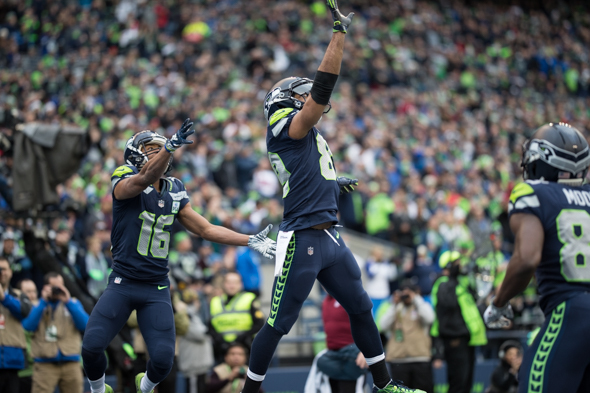 The previous game, the Seahawks scored a season-high 43 points. Monday night, they had three points entering in the fourth quarter. They won both games. 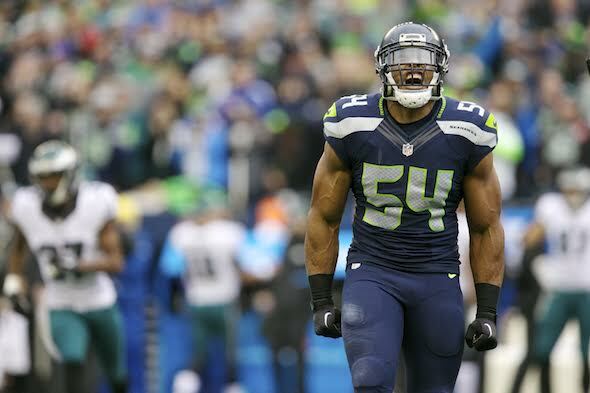 Beautiful or brutal, the Seahawks seem to have a knack. After an 0-4 preseason and an 0-2 start to the regular season, exactly no one expected them to have a feel for winning games sufficient to make the 2018 NFL playoffs. As much delight as the Seahawks drew Sunday from their 43-16 rout of the 49ers and Richard Sherman, something stood out like the first scratch on a new car -- 386 passing yards allowed to third-string QB Nick Mullens. CB Shaquill Griffin was candid about what he thought happened. 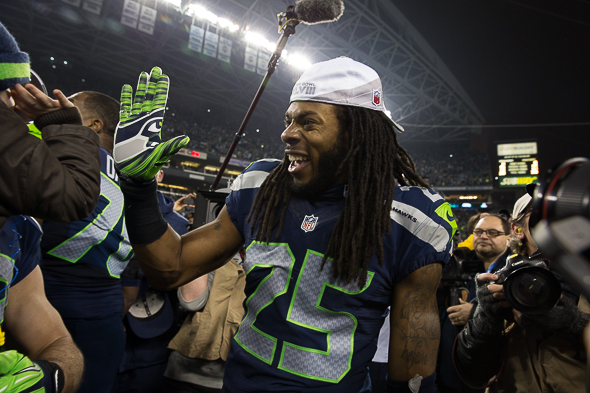 Earlier in the week, Richard Sherman described the Seahawks as a "middle of the road" team. Which, on the Sherman Scale of Agitation, is mild. By Sunday afternoon, his 49ers were road kill. That was not mild. It was almost pitiful. Truth be known, as much as the 43-16 triumph (box) over 2-10 San Francisco upgraded the Seahawks' playoff bona fides, the degree of beatdown was, for most players, awkward. 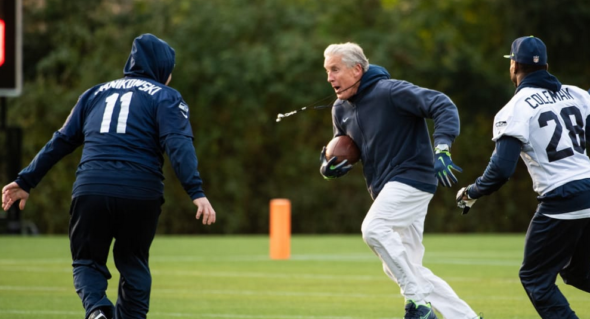 Probably the most complicated relationship over the past 25 years in Seattle sports after George Karl and Gary Payton is Pete Carroll and Richard Sherman. Both relationships were notably responsible for great team success, but the tension between coach and the genius talent eventually wore out each side.